Attention Potential Grads! Don’t forget to finish your college applications and send them off! 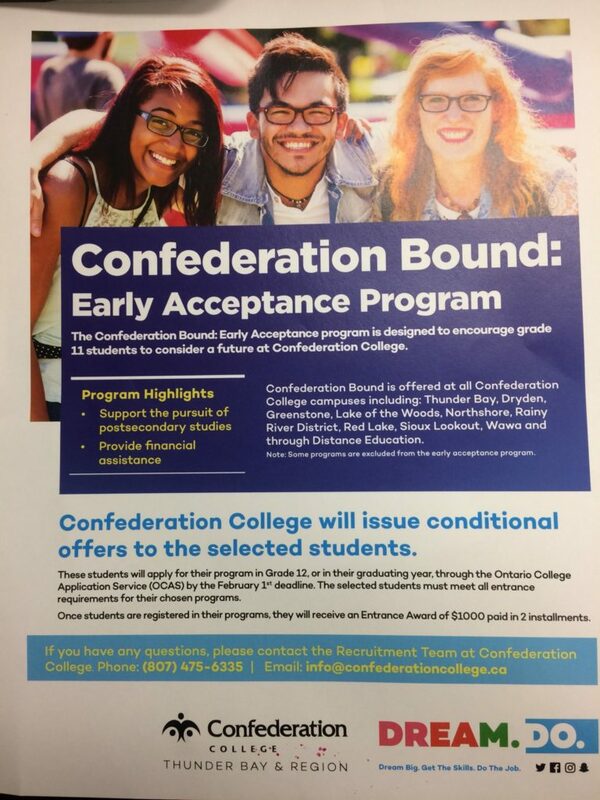 Confederation College has an amazing program for Early Acceptance that could earn you some sweet Entrance Award Money! If you need any assistance with your applications, drop in to the Guidance office and speak to Mrs. Humphreys.